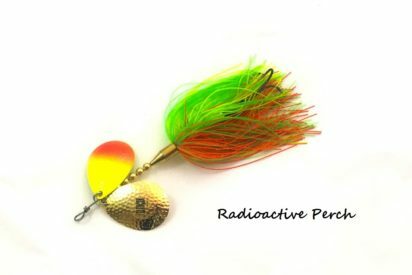 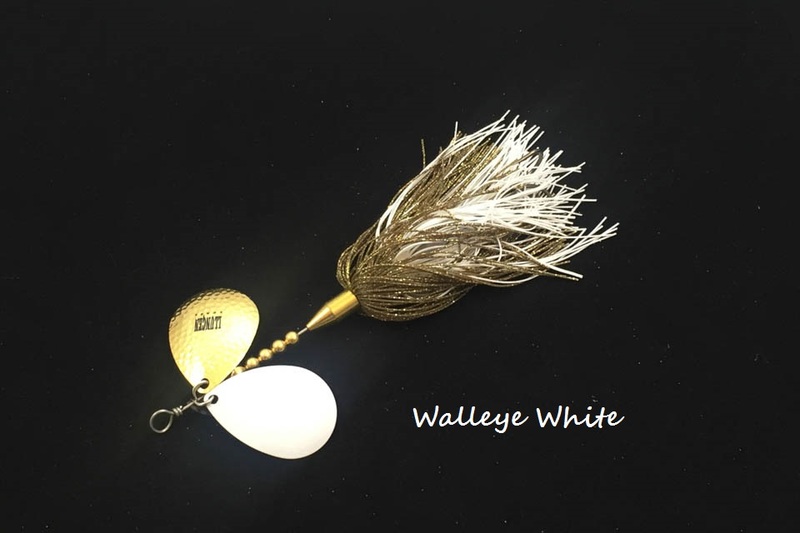 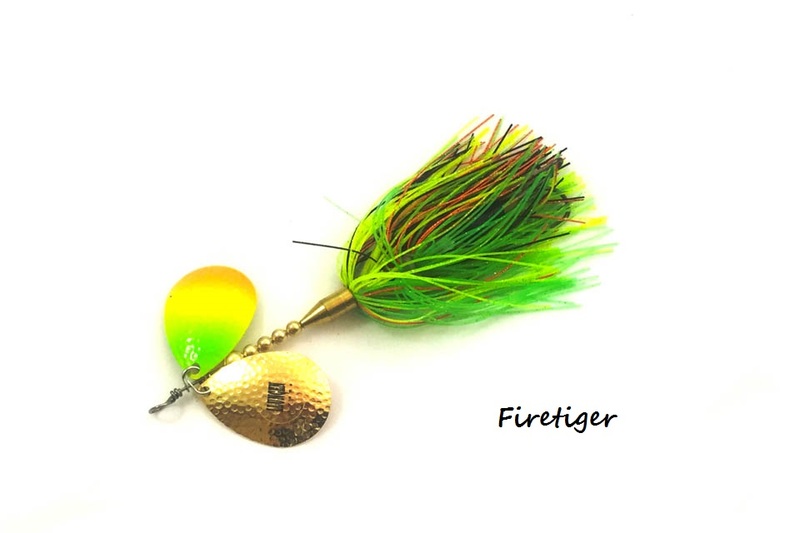 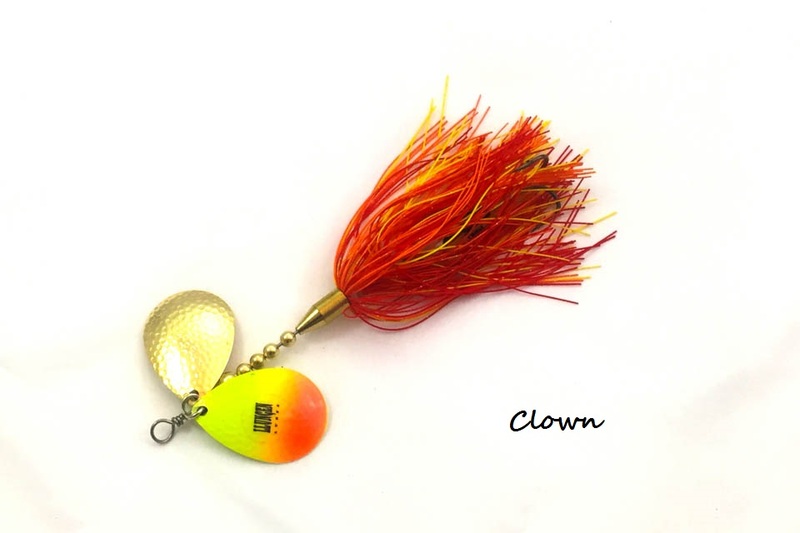 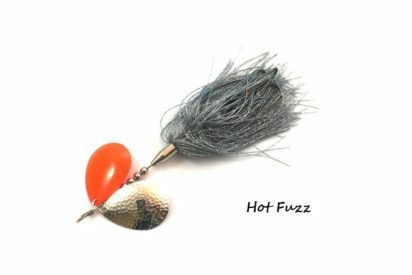 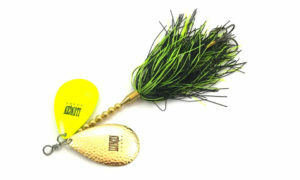 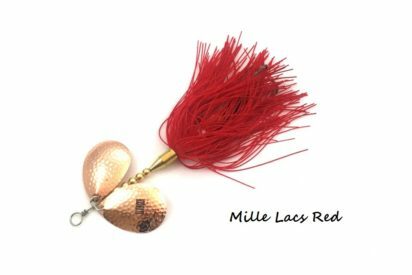 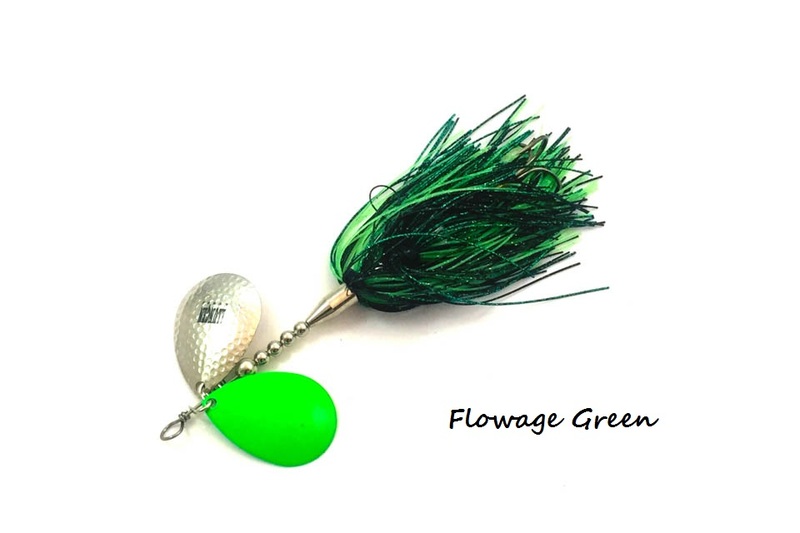 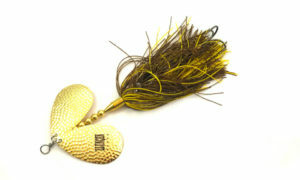 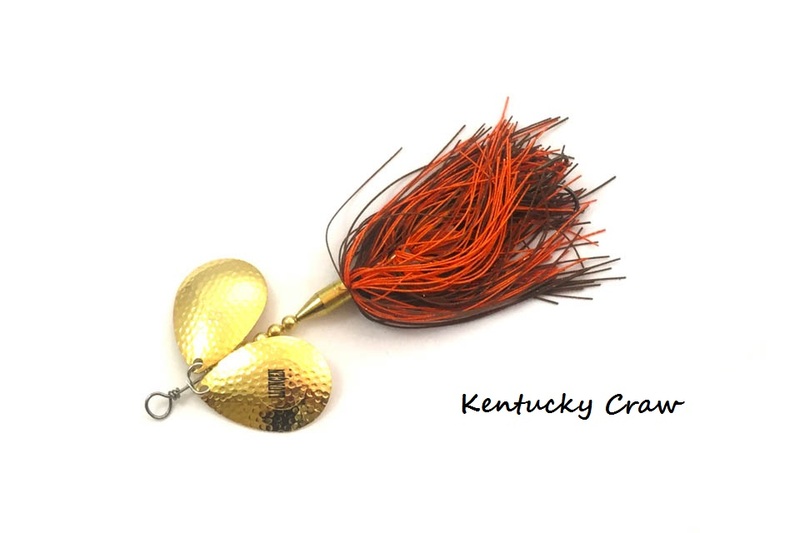 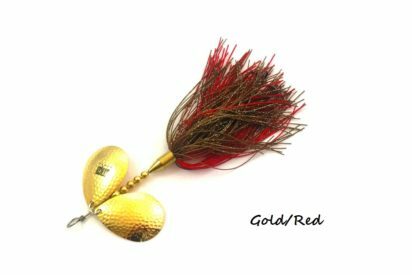 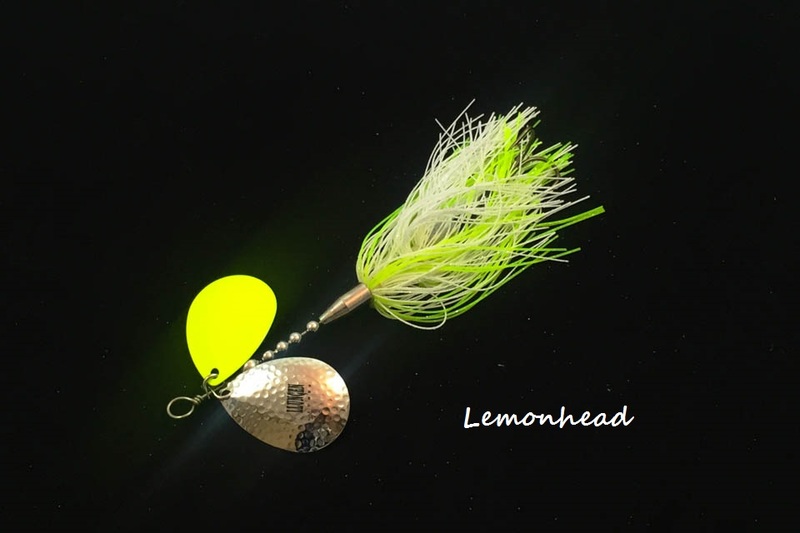 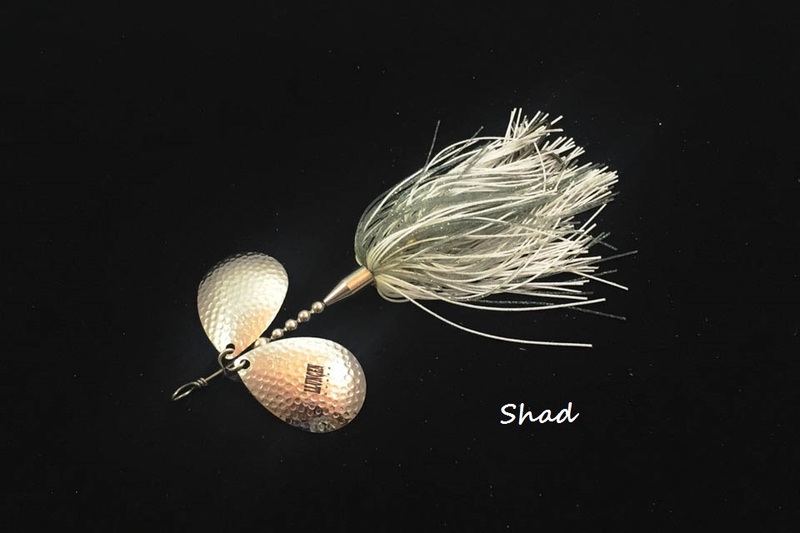 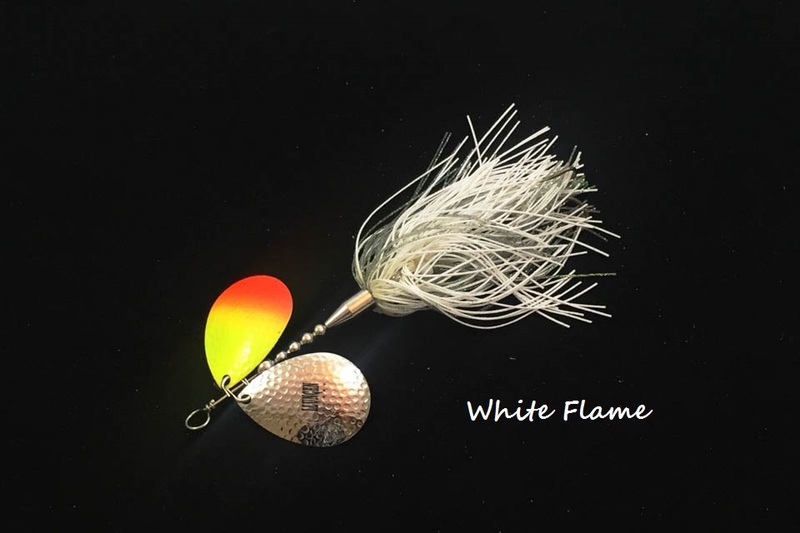 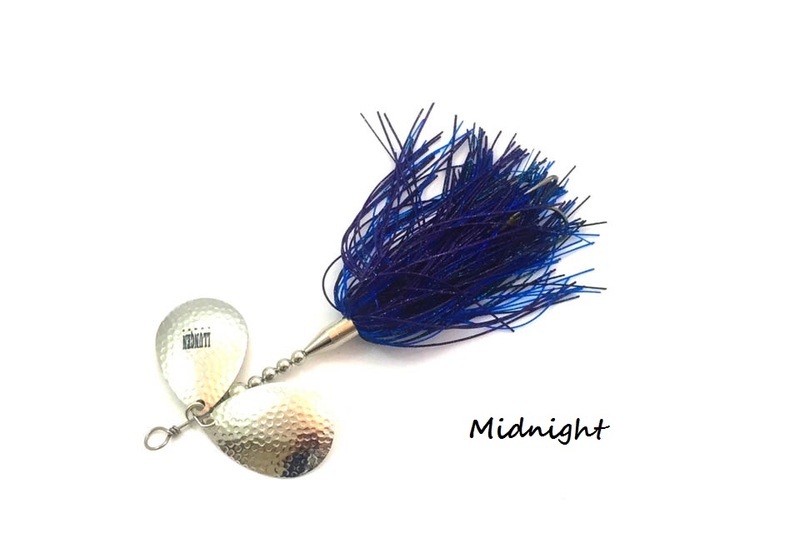 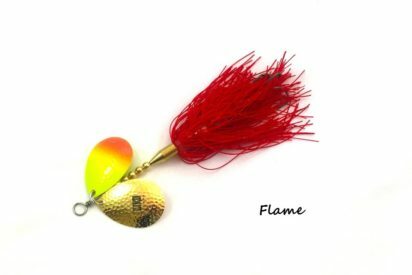 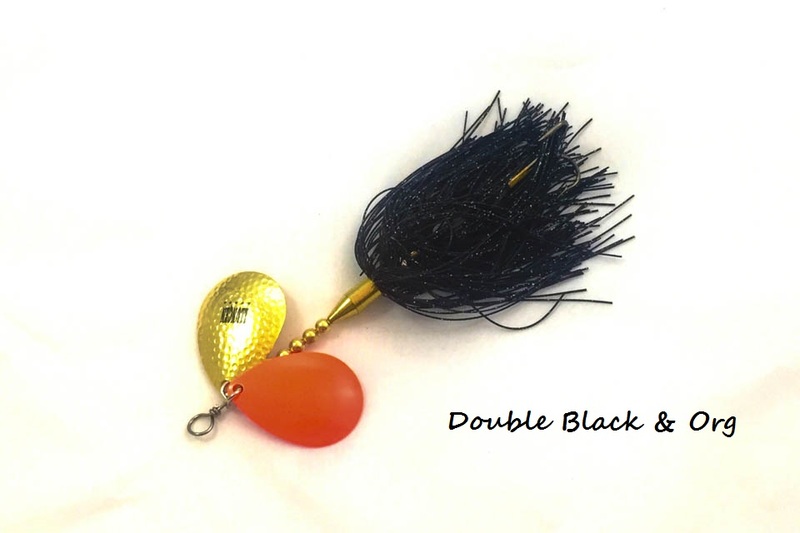 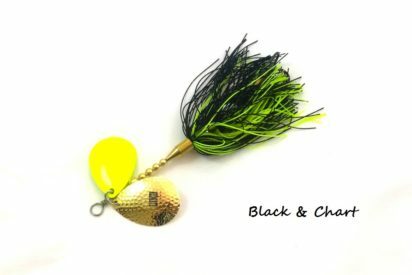 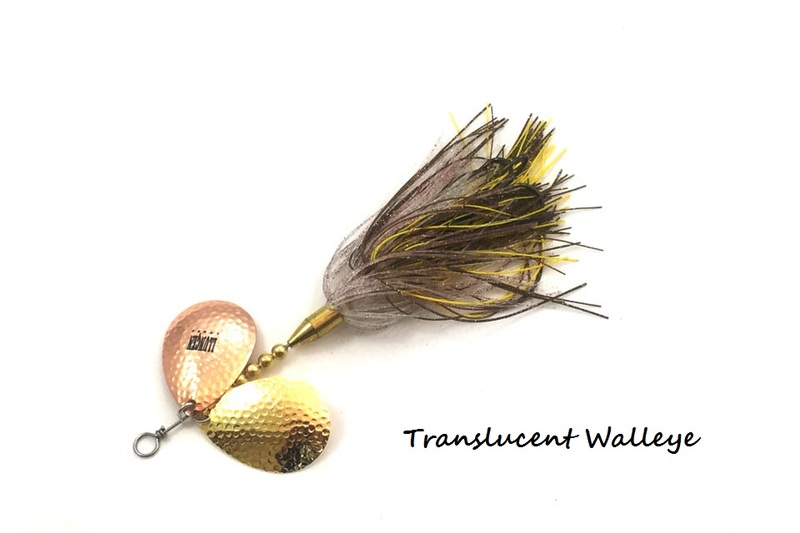 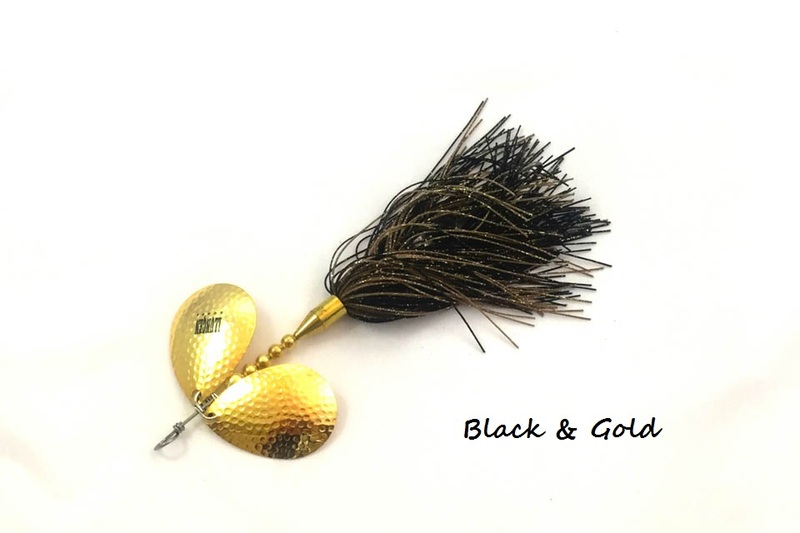 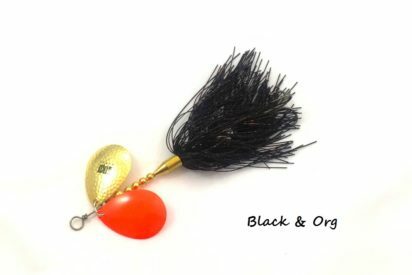 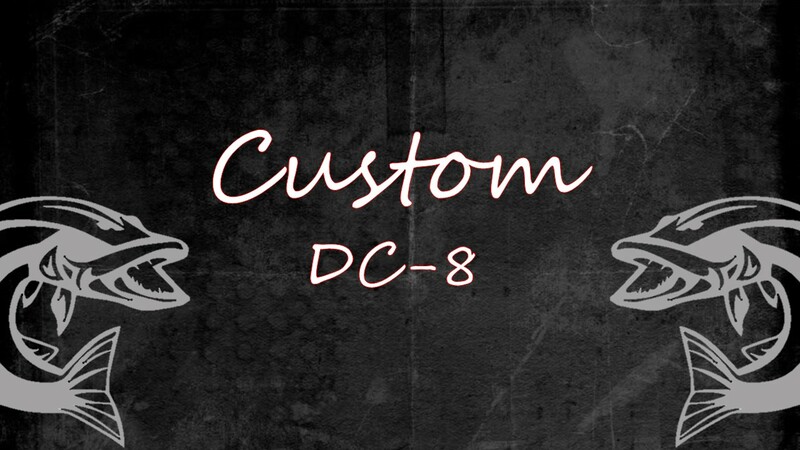 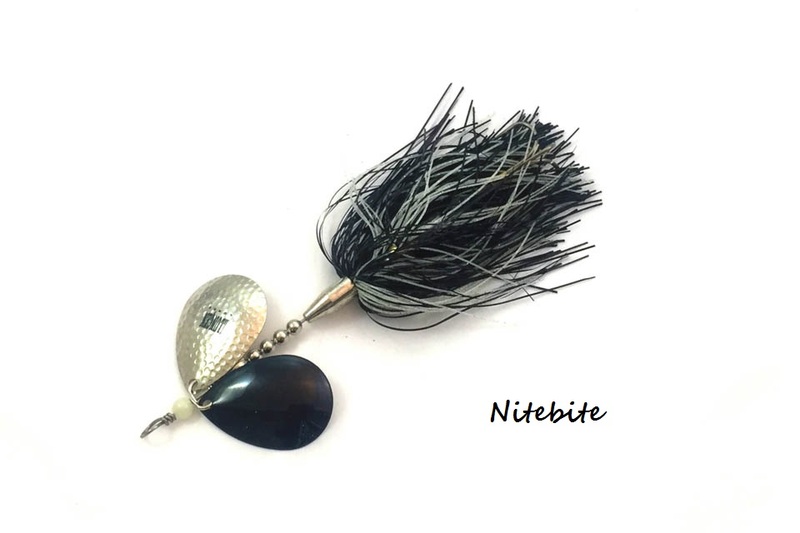 The DC-8, the smallest of the “DC” series, is a great all-around bucktail that has quickly become a favorite bait of many musky anglers because of its ease and versatility throughout the season. 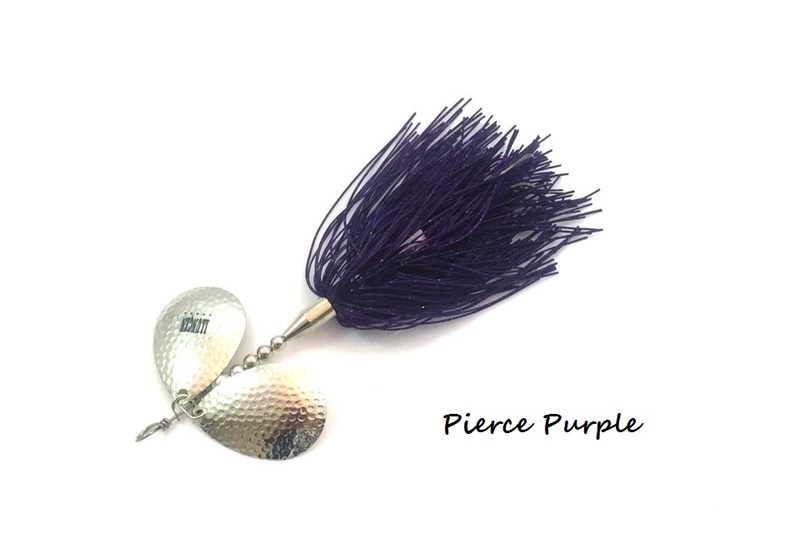 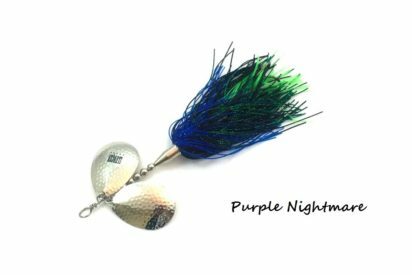 The DC-8, the smallest of the “DC” series, is a great all-around bucktail that has proven effective for fisherman in numerous situations. 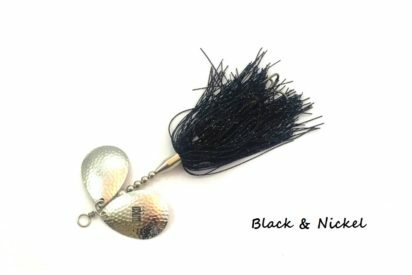 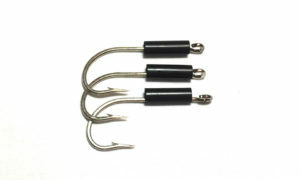 This bait features twin #8 Colorado blades paired with 2 silicone skirts to enhance the profile once the blades begin to spin. 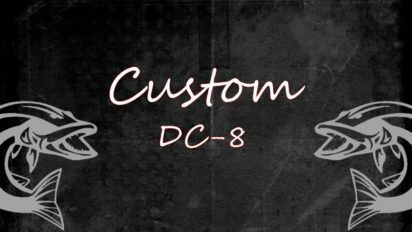 Similar to the larger DC-9 and DC-10, the twin blades allow the silicone skirts to exhibit their inherent ability to “breathe” in a lifelike manner while also displacing more water than other materials. 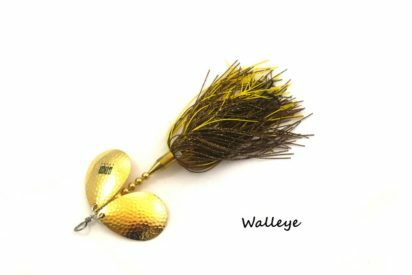 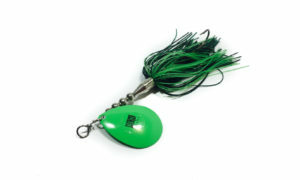 The DC-8 has quickly become a favorite bait of many musky anglers because of its ease and versatility throughout the musky season.